Clocks are a great addition to kids rooms – some might even consider them crucial! 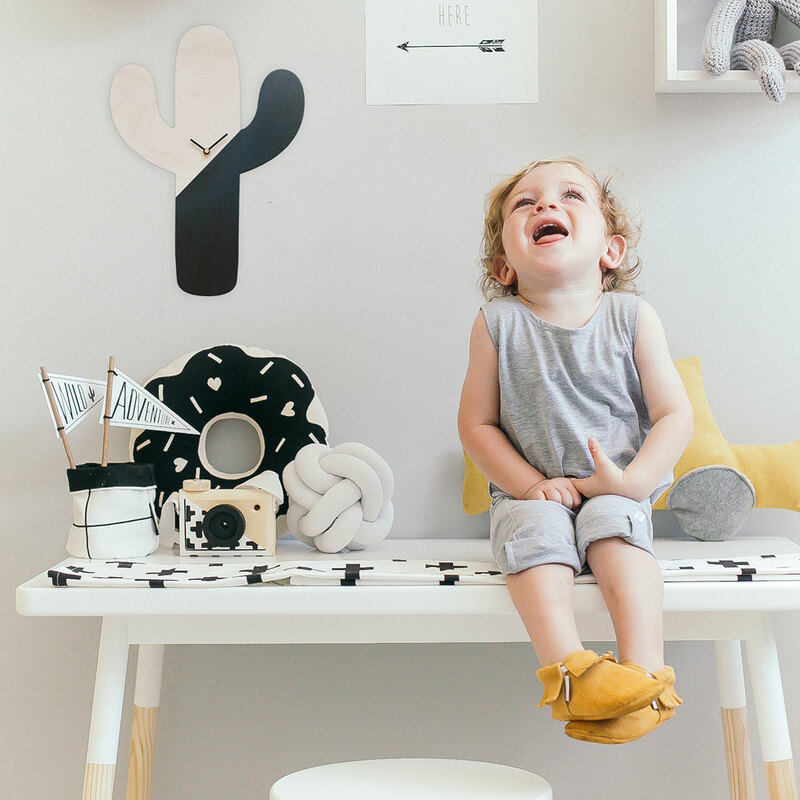 Apart from assisting parents to check on bedtimes and any scheduled activities with a quick glance at the wall, an analogue clock in your little one’s space will assist them in learning to tell time much quicker. The classic round clocks from Native Decor are available in gorgeous colours to fit any decor scheme, while Simply Child’s adorable character clocks are the perfect complement to a themed room.